Prime Minister Narendra Modi will address a rally on January 28 on the conclusion of the yatra to be led by BS Yeddyurappa. Party workers from the Karnataka's 28,000 polling booths are expected to take part in the rally. New Delhi: BJP president Amit Shah will kick off the party's 79-day 'Karnataka Parivartan Yatra' in Bengaluru today, with the aim of returning to power in the southern state. According to a BJP statement, more than one lakh party workers riding motorbikes are expected to attend a rally to be addressed by Mr Shah. Prime Minister Narendra Modi will address a rally on January 28 on the conclusion of the yatra to be led by BS Yeddyurappa. 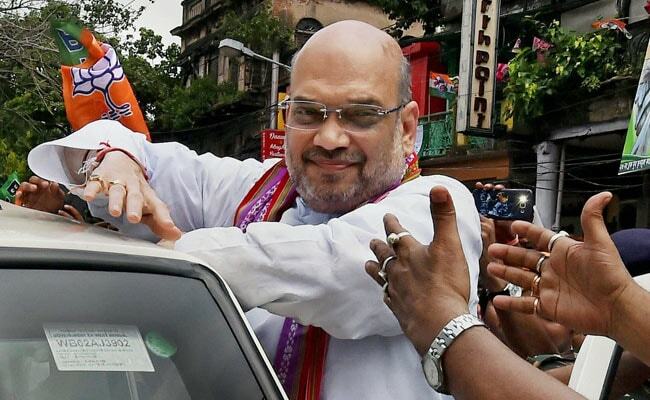 Party workers from the Karnataka's 28,000 polling booths are expected to take part in Mr Shah's rally. Top party leaders, including Union ministers and chief ministers of BJP-rules states, will attend the yatra, which will pass through the state's 224 Assembly constituencies, the statement said. The Congress is in power in the state and the BJP is making all-out efforts to oust it in the Assembly election scheduled to be held early next year.